The young will thrill to the sing-a-long tunes about ducks, squirrels, flies, newts and turtles, while the music geek in all of us will marvel at the dexterous harmonica and National steel guitar playing and super excellent vocals. All will benefit from the important lessons about road safety, keeping flies off your supper and the perils of karoake. The Wee Hairy Beasties theme song even has a special dance. Every time the Beasties go “Wee!,” you climb up on your Mom or Dad’s shoulders and kick your legs up as high as you can–but make sure you hold on tight and if Dad’s wearing a wig hold onto his ears! Sponsored by WBUG, a radio station that only insects can hear, The Wee Hairy Beasties’ first concert was at the Lincoln Park Zoo in Chicago. The band was under the mistaken impression they would be playing to the animals, so all their songs were about animals. The children that showed up seemed to enjoy the show a great deal as well, so a CD was concocted. The resulting Beastie music on Animal Crackers is mostly for kids, but if used wisely, shouldn’t bug the adults either. 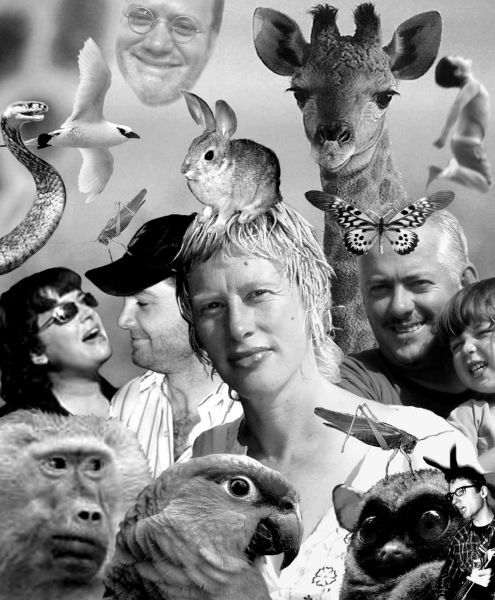 The Beasties, Cyril the Karaoke Squirrel Jon Langford—Mekons, Waco Brothers, Pine Valley Cosmonauts), Marjorie the Singing Bee (Kelly Hogan), Monkey Double Dippey (Sally Timms-Mekons) and Devil in a Woodpile believe that Kids music need not be unlistenable. Their dance-with-ants-in-your-pants blend of back porch blues, hoppity country and wiggly old timey swing is bound to please any animal, child or adult within earshot. 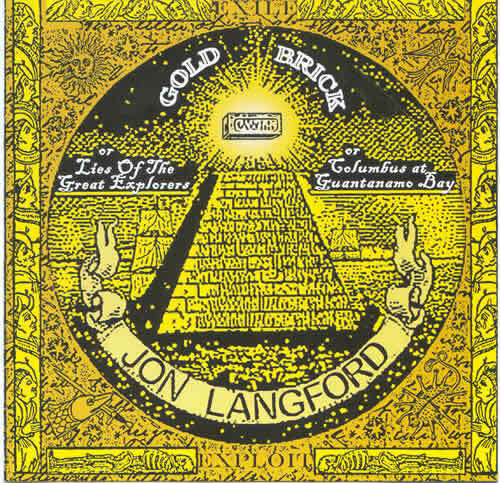 Devilishly crafted and scarily melodic GOLD BRICK is Langford’s third solo album and finds him back with R.O.I.R. the pioneering New York label that released The Mekons classic New York album in the late 80s. Collaborating with a band that includes Pine Valley Cosmonauts John Rice (guitar, mandolin etc.) & Pat Brennan (keyboards), Waco Brother Alan Doughty (bass & vocals), Jean Cook (violin) and Dan Massey on drums, this is probably Langford’s most consistent and coherent recording to date.